During their time in middle and upper school, students will develop the skills necessary to persevere in challenging situations. Learning emphasis is academic excellence and on the application of knowledge and skills. Learning will take place primarily in English. Problem-solving is encouraged through discussion and role play. Community is promoted through group work and debate. Child-centered learning focuses on students’ strengths and needs. Differentiated learning allows students to process information through varied methodology and diverse resources. Creativity is encouraged through writing, drama, and other forms of artistic expression. High level thinking skills are improved through critical thinking and use of perspective. Communication skills are fomented through debate and public speaking. Social skills are challenged through group work. The multicultural society is enhanced through experiences. Preparation is secured by meeting objectives and through varied evaluation. The cultures of thinking are promoted through reflection. Adaptation and flexibility is designated as a priority through the integration of modern and traditional technologies. By the end of high school, students feel they have the means to face the academic requirements, the challenges of an ever-changing world and to become positive, productive, contributing members of society. The students at ASLP are from a variety of countries such as the U.S., Britain, Korea, India, Poland and Venezuela. Approximately 40 different subjects are taught. 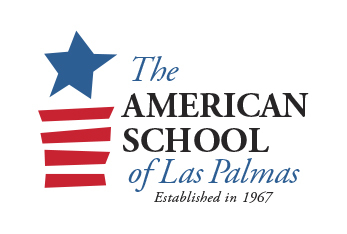 Students can earn the American High School Diploma and/or the Spanish Baccalaureate and PAU by successfully completing the graduation requirements for each. A growing number of students take AP (Advanced Placement) Exams. The program is college preparatory, given that most students pursue higher education. The curriculum provides the foundations for students to move onto Universities in the U.S., Spain, the UK and other European Universities. Here you can see the list of universities to which our students have gone the last four years. 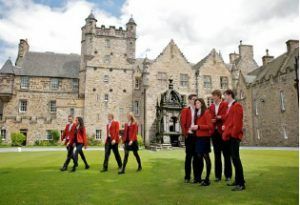 CEIAM, the international department of Grupo Innova, offers a variety options for the students to study in Ireland, the United Kingdom or Canada. We have collaboration agreements with an assortment of schools with a variety of characteristics and prices. Different living situations, boarding, semi-boarding or with a family, allow us to tailor each situation to the needs of the student. Periods of one trimester, one semester or the entire school year living in another culture and learning about different customs and traditions provide rich cultural, eye-opening adventures and memories that will last a life-time. The learning experiences are not limited to the classroom setting but encompass all aspects of your child’s life.